Estonia was the first European country to introduce a flat tax on income in 1994. Many others followed. For example, Hungary successfully introduced a flat tax in 2012. In the U.S., some of the States (e.g. Pennsylvania) have introduced a flat tax on income. As in Germany, however, the federal income tax in the U.S. is still progressive. We believe the case for the flat tax is strong. Presenting an axiomatic justification for the flat tax as a redistribution rule, this post suggests that you need to accept only a few basic properties to favor a flat tax for income redistribution. Are we all Debt Liquidationists now? … No! A growing number of economists suggest that governments in highly indebted countries should consider liquidating debt via financial repression. In other words, they want governments to intervene in financial markets and push government borrowing costs below the rate of inflation to erode the real value of debt. In a previous post, I argued that financial repression is dangerous and a drag on growth. This post explains why we can be hopeful that, despite a rise in popularity, the debt liquidationists will not succeed in putting their ideas to work. Debt liquidation via financial repression would necessitate far-reaching regulation or drastic measures, both of which seem unlikely in the US. Ever since the beginning of the EMU crisis, politicians, journalists and economists have blamed Germany’s “fiscal austerity” for the prolonged troubles in Europe’s periphery. If only the Germans spent more on goods and services, so the idea, the people in the periphery countries of Europe could sell more stuff. Exports would help their economies recover. The German government, however, is found to engage in fiscal austerity. The recent budget surpluses even seem to annoy people. B. Setzer wrote (mischievously): “Germany has fiscal space even by German standards!”, and she should use it for the good of Europe. But she won’t. P. Krugman adds that Germany’s restrictive fiscal policy was a “drag” on growth in Europe. The Germans seem to have learned nothing from the crisis! The expansion of food stamp eligibility in response to the Great Recession was part of the so-called stimulus package. There were several aspects. First, there was a simple increase in the maximum amount allowed to beneficiaries of about 14%. There was also a tremendous drive to get people who are eligible, but did not get food stamps, to apply and get them. Then there was a loosening of eligibility requirements in some states. Finally, there was the increase in unemployment resulting from the recession and thus an increase in the number of eligible people. I am not sure which is worse: superstitions based on science or superstitions pure and simple. Many people would react to across the board cuts in government spending by saying something like: “This is crazy; some things are more important than others. We should cut the less important things first.” And, indeed, economists would seem to agree. After all, the equi-marginal principle was one of the first “discoveries” of the marginal revolution. No sense cutting programs in such a way that some will have very high returns, however measured, at the margin while others will have very low returns. Irrational! Raise Middle Class Taxes Now! I now favor expiration of the Bush era tax rates for everyone. Why? Because the only way to curb spending in the long run is to make as large a number of Americans as possible truly feel the consequences of the expenditures they appear to desire. Over the last two years Carmen Reinhart and Belen Sbrancia have published a series of papers on financial repression and its historical role in financing government debt. They show that throughout the Bretton Woods period governments in many advanced economies repressed financial markets to liquidate the high levels of debt that had been accumulated by the end of World War II. During this period, low policy rates reduced debt servicing costs. Financial repression raised the attractiveness of government bonds relative to other investments. Inflation liquidated government debt. The authors report an annual debt liquidation effect for, e.g., the US and UK government debt of about 3 – 4 percent of GDP (Reinhart and Sbrancia 2011). After the Fiscal Imbalance is Resolved: What Then? Let us suppose that not only the immediate fiscal cliff problem is solved but also the long-run fiscal imbalance is corrected. What then? Presumably federal spending will then be on a sustainable trajectory which is able to cope with cost-of-living increases. Ordinary trend economic growth will already have been figured into the sustainability of the spending trajectory. So what room is there for more spending without derailing the whole “solution?” Consider that the contemporary federal government – executive and legislature – exists for the purpose of giving favors to various groups in exchange for electoral support. Thus, even assuming the unlikely event that the long-term imbalance is resolved, how do we stay within the solution range? After all, we did not get where we are by accident. Only a real change in the philosophy (ideology) of government will work. The pragmatic solutions of those who do not challenge the welfare-warfare state, root and branch, are not enough. They are not “pragmatic” enough! Interests are More Powerful than Ideas? The above table is from the November 8th issue of the Wall Street Journal. The figures for the fiscal cliff consequences are usefully stated for next year and not for the next nine years as those who want to suggest that the numbers are truly impressive (or want to scare children) typically use. At the current economic juncture two camps offer diametrically opposed macro policy prescriptions. Economists on the Keynesian side such as Joseph Stiglitz and Paul Krugman advocate further monetary easing by the Federal Reserve and massive new federal deficit spending. The opposing camp includes Austrians and monetarists. Among its distinguished members is Allan Meltzer, who in a recent Wall Street Journal op-ed column argues against monetary stimulus and favors reduced government spending. Attempts to rein in government spending necessarily have unpleasant side effects. Thus the Dutch government collapsed amid budget talks to control the deficit. And British national output appears to be shrinking. Wisconsin governor Scott Walker is in the extremely unusual position of facing a recall vote less than two years after he was elected in 2010. The recall is orchestrated by unions that have gone all out to reverse his valiant effort to contain the growth in state and local spending. This vote has wide implications beyond the state of Wisconsin, implications for all government budget making and the question of whether taxpayers can be protected at all against predatory interests. How’s Your Compulsory Holiday Giving Coming Along? I wish people would perform the following intellectual experiment. Find out how much in federal taxes you have paid in the past year. Don’t worry about making any distinctions between the various payroll taxes and the income tax. It all goes into the same pot in the final analysis. I addressed the Greek situation and the wider EU debt crisis in an op ed in The Wall Street Journal on Wednesday, November 2nd (“Why We Can’t Escape the Eurocrisis”). It is also posted today on the Cato homepage. I explain the linkages between the US and the EU, particularly among financial institutions. Banks within the EU finance the deficits of their governments. It is not just that Greek banks buy Greek sovereign debt, but French banks lend to Greek banks. And French banks buy the bonds of the Italian government. US banks lend to EU banks. Less well known, US money market funds hold a good amount of debt issued by EU banks. And the Fed is backstopping dollar funding of EU banks. Sovereign defaults over there will have a big impact over here. And, then, there is our own public debt problem. And it is not just public-sector debt that afflicts both economies, but, to varying degrees, excessive leverage in the household and nonfinancial corporate sectors. The Judge was interested in not only the economic issues, but also political issues. In Wednesday’s Wall Street Journal, Kevin Hassett explains the economic logic against fiscal stimulus (“Stimulus Optimists vs. Economic Reality”). It’s a superb piece. The more powerful one believes fiscal stimulus to be, the more adept the Keynesian policymaker must be. If the stimulus has powerful positive effects when added, it will have powerful negative effects when withdrawn. Hence, the application of stimulus and its withdrawal must be precisely timed. An economist would ask from whence the knowledge to do this would come. The case for fiscal stimulus is even weaker in the aftermath of a major financial crisis, such as we have experienced. Downturns, measured by employment, are longer in the wake of such crises. Hassett cites the Reinhart and Rogoff estimate of an average duration of 4.8 years. Short-term stimulus becomes very problematic in the wake of such crises. Hassett’s analysis fits the current situation very well. I just read The Politics of Bureaucracy by Gordon Tullock, one of the best books written on the behavior of bureaucrats. Although originally published in 1965, it remains very much relevant today, especially as the debt deal currently in Congress could bring spending caps on programs administered by numerous bureaucracies. These entities implement policy changes, yet efforts to rein in government spending or impose new regulation typically pay little or no attention to their behavior. A Moment of Truth in the Debt-Ceiling Impasse? The difference between a conservative and a classical liberal/libertarian once again is manifest. The conservative wants to get the debt crisis over with even at the cost of some tax increases and not so reliable budget cuts. He thinks that, in the end, there will be some budget cuts, the deficit will be lowered and we can go on to real reform some way down the road. Neither House Republican Speaker John Boehner nor Senate Democratic Majority Leader Harry Reid propose tax increases in their competing deficit and debt-ceiling plans. Indeed, the Reid plan’s omission of tax hikes is described by Democrats as a major concession to Republicans. 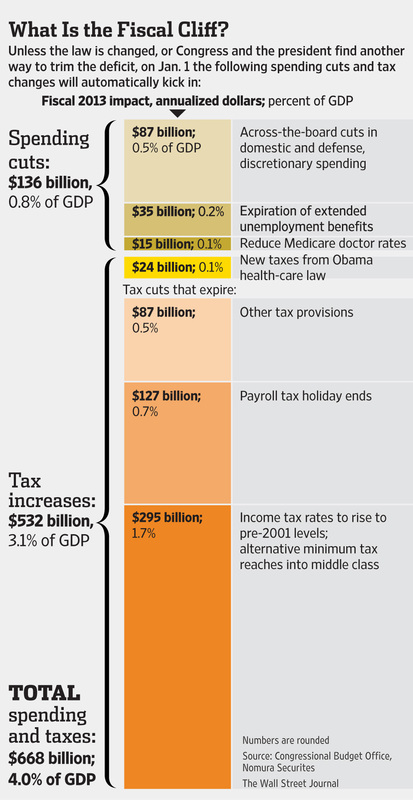 But even if there are no new obligations, taxes are primed to go up. That baseline, biased in favor of a growing tax burden, is key to proposed deals and will no doubt remain the pivotal point in budget negotiations long after the current debt ceiling is broached. Today, however one parses the term, the Federal Reserve is not now independent. It has voluntarily relinquished the very independence it secured in 1951 by entering into a modern version of the bond support program. That is what the so-called zero interest rate policy amounts to, reinforced by the quantitative easing implemented through QE1 and QE2. The Fed is committed to holding interest rates at a very low level by purchasing as much Treasury debt as necessary to maintain those interest rates. That is precisely the position the Fed found itself in before the 1951 accord. Monetary policy once again is not independent of fiscal policy. None of the Fed’s critics can do as much harm to the institution’s independence as it has done to itself. The whole article is quite interesting. It raises importance questions not only of economics but of politics as well.